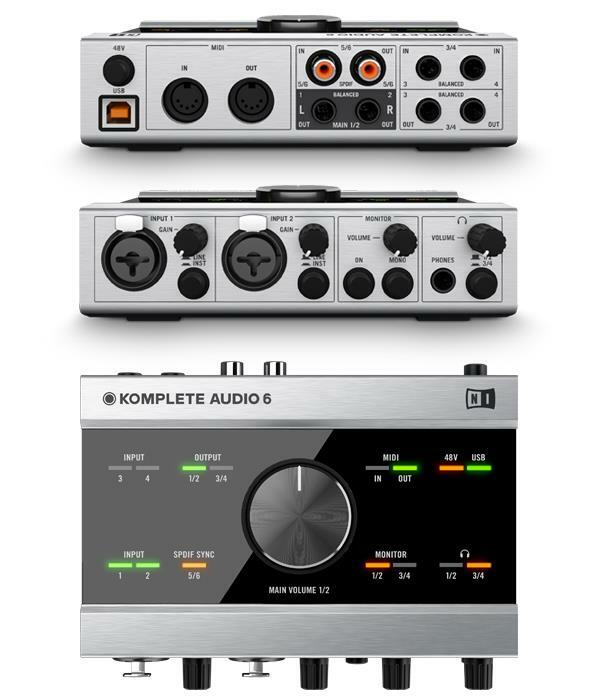 Native Instruments Komplete Audio 6 Product Overview By GAK. 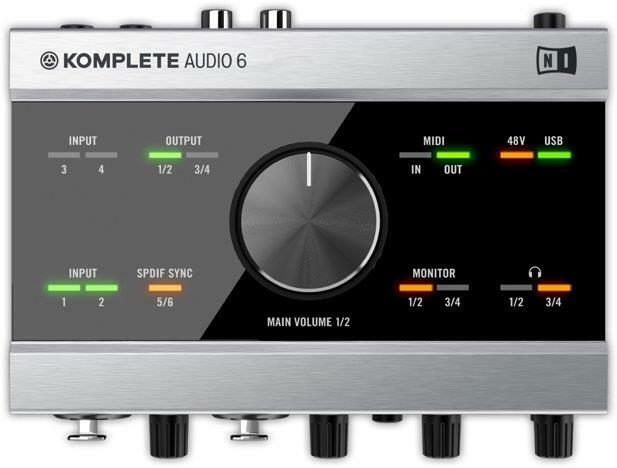 KOMPLETE your setup with the Native Instruments Komplete Audio 6 24-bit /96kHz audio/MIDI interface and enjoy pristine recording and monitoring with highly-flexible connectivity. With six inputs and six outputs in a rugged metal casing, KOMPLETE AUDIO 6 is the perfect centre piece to your studio and is also ideal for life on the road. Connect controllers, instruments, microphones and more to your computer via USB 2.0 and enjoy excellent latency performance thanks to optimised driver technology. Get flexible connectivity, pristine sound, and a host of included software with this low-latency interface. Record and play back music with four analog ins/outs, digital in/out, MIDI, and low-latency performance – all in a sleek, rugged metal casing. Two mic inputs armed with high-end pre-amps and Cirrus Logic converters deliver pristine sound.